Knee cartilage is the lay term for what’s more accurately called the menisci of the knee. Each knee joint contains two menisci – the medial meniscus and the lateral meniscus. The menisci of the knee function to prevent friction of the femur (thigh bone) on the tibia (shin bone), they also provide nutrients, and dampen compression forces that occur as your foot contacts with the ground when running or walking. The menisci are half-moon shaped. Medial and lateral meniscus injuries are common in sports people as well as in the general population. Acutely, they occur in weight bearing, with the knee bent when a rotation force is added. Usually the lower part of the leg remains in contact with the surface and the upper body rotates around at the knee joint causing a sheering force which may tear the medial or lateral meniscus. This mechanism of injury is commonly followed by difficulty weight bearing, pain and swelling. Degenerative tears in the menisci are also common in older athletes. These may be a result of excessive training, biomechanical abnormalities or poor equipment such as running shoes. Diagnosis of meniscus damage can be made by a skilled chartered physiotherapist employing the correct examination techniques. Confirmation of the diagnosis may require MRI. Meniscus tears may respond to treatment with physiotherapy and rest alone. Often, particularly in the younger athlete it’s advisable to have an arthroscopy to “clean out” the joint following the injury and to trim away torn bits of the meniscus which may be causing ongoing symptoms. This is a day procedure done by “key hole” surgery necessitating only three small incisions in your knee. 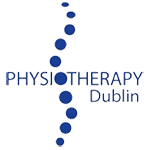 You’re chartered physiotherapist, will be able to advise you on whether you will require surgery or whether you’ll recover with physiotherapy alone. They should also be able to make referral to a suitable specialist should it be necessary.